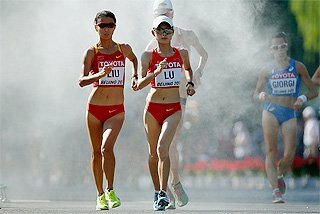 The ninth edition of the Tokyo Marathon will be contested on Sunday (22) with both Olympic champions on the startline of the IAAF Gold Label Road Race. Race director Tad Hayano has once again assembled a formidable field worthy of its World Marathon Majors status. Olympic champions Stephen Kiprotich and Tiki Gelana head the list of invited runners, but that is not all. On the men’s side, there are four runners with PBs faster than 2:05 and another four runners who have broken the 2:07 barrier. Three runners with PBs faster than 2:23 will line up for the women’s race. Two marathon debutantes are also worth keeping an eye on. Last year’s race saw both course records broken, but the Japanese all-comers’ records are still standing. The men’s all-comers’ record is 2:05:18, set by Tsegaye Kebede at the 2009 Fukuoka Marathon, while the women’s mark is 2:21:18, set by Mizuki Noguchi at the 2003 Osaka Ladies Marathon. Tokyo has the slowest course records among the World Marathon Majors, but that could all change on Sunday. It may all depends on the weather, more specifically the strength of the wind from the Tokyo Bay, which will affect the runners in the closing stage of the race. Pace makers have been asked to cover each kilometre in 2:58, which translates to a finishing time of 2:05:11, slightly faster than the Japanese all-comers’ record. 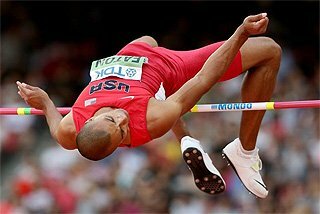 The emphasis on breaking that mark became the main focus at the elite athletes’ press conference. Only the third runner – after Portugal’s Rosa Mota and Ethiopia’s Gezahegne Abera – to win gold medals in the marathon at both the Olympics and World Championships, Kiprotich is an ultimate championship performer. The Ugandan also excels in whichever marathon immediately precedes a major championships. At the 2012 Tokyo Marathon, just six months before his Olympic victory, he finished third in 2:07:50, the second-fastest time of his career. At the 2013 London Marathon, four months before his World Championships triumph, Kiprotich ran 2:08:05. So in this, a World Championships year, Kiprotich is expected to run well this weekend. 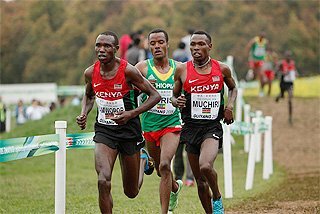 “The record depends on a lot of factors like pace making and weather, but the record is possible,” said Kiprotich when asked about the possibility of breaking the Japanese all-comers’ record. 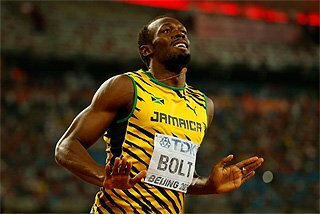 He later confirmed that after this race, he will prepare for the World Championships, expressing his desire to win in Beijing this year and at the Rio 2016 Olympics to make history. Fellow Olympic marathon champion Gelana set an Ethiopian record of 2:18:58 at the 2012 Rotterdam Marathon. She also excels at the half marathon, having won the Marugame title twice, in 2012 and 2013, and recording a best of 1:07:48 at the Great North Run. Unfortunately, after colliding with a wheelchair at the 2013 London Marathon, Gelana has been slow to recapture her form of 2012. 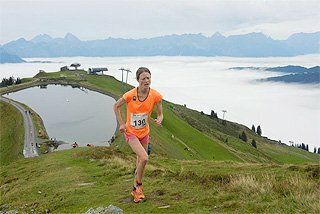 She is running better at shorter distances, having finished third in two half-marathon races in 2014, but she is yet to translate those performances into marathon success. 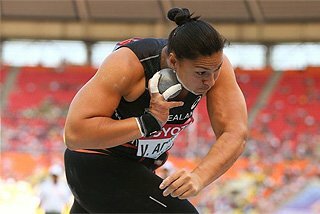 The Olympic champions may not be the favourites on Sunday. Dickson Chumba is arguably the most formidable runner in the men’s race. His personal best of 2:04:32, the fastest of the field, was set just four months ago at the 2014 Chicago Marathon, suggesting he is still on the rise. 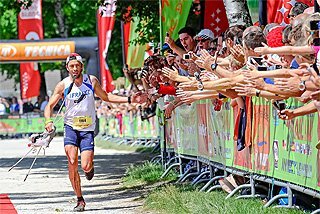 He is also the defending champion and course record-holder (2:05:42), so he is familiar with the course. 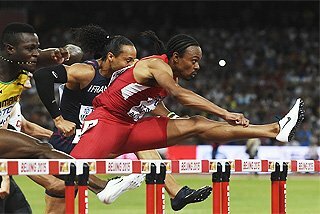 Kebede, the owner of the all-comers’ record, will also be in the race. The diminutive Ethiopian is one of the most consistent marathon runners in recent history, having made it on to the podium in 14 of his 18 races over the classic distance. For seven years in succession, his season’s best has been faster than 2:08. He also has most sub-2:07 (10), sub-2:08 (12), sub-2:09 (14) and sub-2:10 (15) career marathons in history. “Of course it will depend on the weather, and I am not familiar with the Tokyo Marathon course, but if it was the Fukuoka Marathon, then I’d say 2:04 is possible on Sunday,” said Kebede, who is undefeated in Japan, having twice won the Fukuoka Marathon. Besides Kiprotich and Chumba, two other men in Sunday’s field have previously run the Tokyo Marathon. Peter Some, who has a best of 2:05:38, was fifth last year, while Michael Kipyego was fourth in 2014, second in 2013 and first in 2012. Some ran 2:07:05 in Tokyo, while Kipyego – who also has a chance of becoming the first two-time Tokyo winner – ran 2:06:58 twice in the Japanese capital. 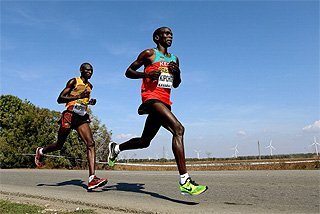 Other sub-2:05 runners in the field are Endeshaw Negesse, who recorded 2:04:52 at the 2013 Dubai Marathon, and Markos Geneti, who ran 2:04:54 at the 2012 Dubai Marathon. Like Chumba, Bahraini record-holder Shumi Dechasa also recorded his personal best, 2:06:43, in his last marathon. Former world indoor champion Tariku Bekele, younger brother of athletics superstar Kenenisa, will be making his marathon debut. But Bekele hadn’t arrived in Tokyo at the time of the press conference due to travel disruptions. Two of the first three Japanese finishers from last year’s race – Kohei Matsumura and Hirokatsu Kurosaki – will be back again this year as team berths for the IAAF World Championships are at stake. Former college stars Yuki Sato and Masato Imai will also be in the field. 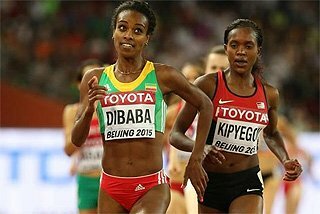 Berhane Dibaba was second in the women’s race last year in Tokyo setting a PB of 2:22:30, while Yeshi Esayias was second in both 2013 and 2012. 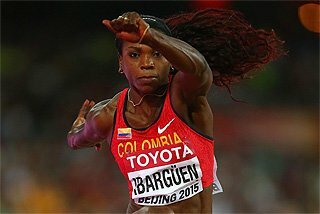 Esayias has a PB of 2:24:06, while her fastest time in Tokyo is 2:26:00. 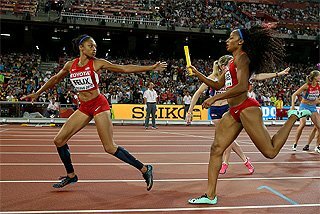 Both women will be looking to step up one place on the podium, although Dibaba has faced the same travel problems as Bekele. Flomena Cheyech, with a best of 2:22:44 from the 2014 Paris Marathon, is also a possible winner. World half-marathon bronze medallist Selly Chepyego, who has a 10,000m PB of 31:22.11, will be making her marathon debut. Because the women’s race is not a World Championships qualifying race, the domestic field is relatively weak.